Atlanta's local Range Boutique is nestled among other popular shops and eateries — dtox Organic Juice, Huff Harrington Home, Superica, Thunderbolt Power Yoga, Craig Stewart Salon and Buckhead Lash Studio — at upscale Buckhead Court. Its passionate founder and owner, Sabrina Davis, was recently interviewed in Voyage Atlanta and The Atlantan Modern Luxury Magazine's November 2017 'Queens of the Court' piece. 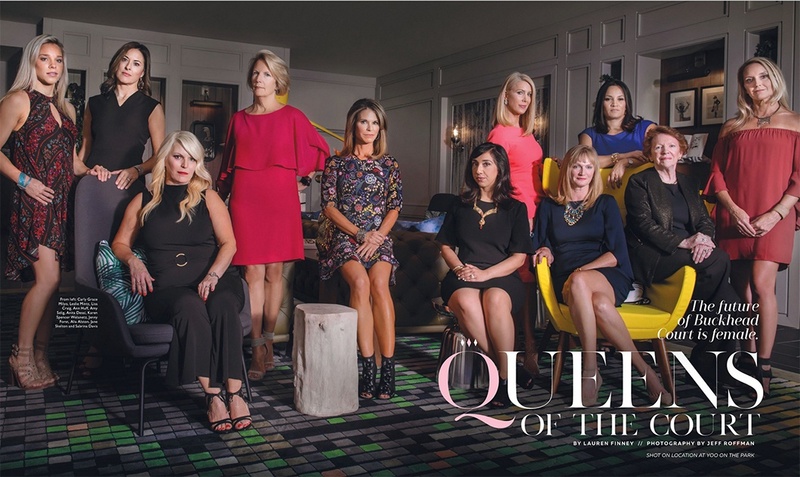 The 'Queens' piece boasts that 'the future of Buckhead Court is female' and speaks to the shared synergy created by the female shop owners. "We all started our business with the same goal of helping look and feel good in every category of their lives," explains Davis, in the article. Fellow female-founded Icebox Cryotherapy shop owner Alia Alston owner adds, "We all are complementary to each other — we all have the same customer, and we can easily refer business to each other." Regency's senior leasing agent, Leslie Mintz, who leases the center, is represented as one of the Queens (second from left). 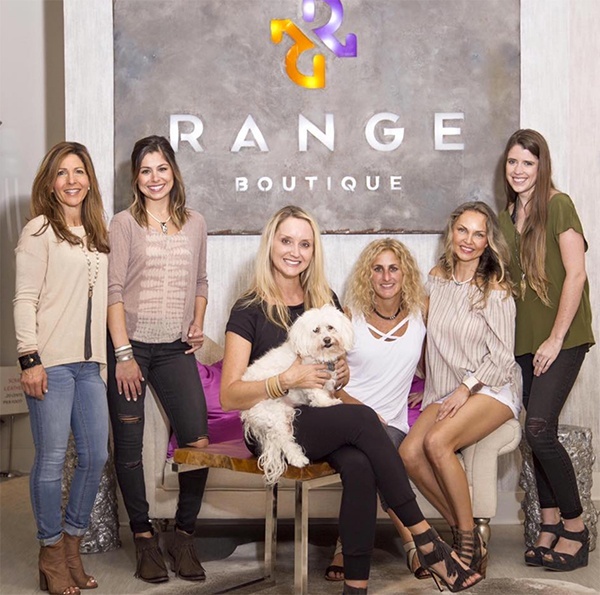 Range's 1,950 SF shop, which opened two years ago at Buckhead Court, is carefully curated to offer a mix of prices to ensure that all women can find something that satisfies their lifestyle and budget. Davis hand selects the merchandise and infuses California style with both Los Angeles and Atlanta designers. "Shopping at Range is a very personal experience," said Mintz. "Sabrina and her associates are known and loved for their honest feedback when seeking to find the perfect outfit. A lot of the staff has worked with her for a very long time." Range's shoppers make the best models and each season 12 shoppers are dubbed 'Style Rangers.' These women are used in the boutique's marketing and social media promotions and posts. 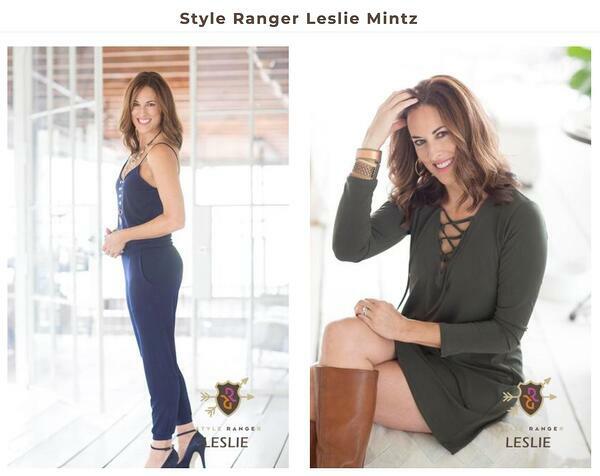 Mintz was a Fall 2016 Style Ranger where she modeled a navy pants romper and olive green dress with leather boots. No stranger to marketing and collaborative ideas, Davis has also led the charge in bringing the shopping center's merchants together to participate in a shared marketing initiative. From a spring sidewalk sale to collaborative Instagram posts to the recent Atlanta Magazine article, Davis takes pride in Buckhead Court. She's even been able to get the other retailers to offer special discounts that are advertised as social media posts. Coupled with her boutique's personalized approach, Davis holds the recipe for success. "Anytime you go into Range, you get a personal shopper to assist you," explains Mintz. "Having your own stylist who is helping you and giving feedback adds to Range's great in-store experience." Read the full Voyage Atlanta story here. Follow Buckhead Court on Facebook.